Five hundred years ago an Italian whose name, translated into English, meant Christopher Dove, came to America and began a process not of discovery, but incursion -- "a ruthless, angry search for wealth" that continues to the present day. This provocative and superbly written book gives a true assessment of Columbus's legacy while taking the first steps toward its redemption. Even as he draws a direct line between the atrocities of Spanish conquistadors and the ongoing pillage of our lands and waters, Barry Lopez challenges us to adopt an ethic that will make further depredations impossible. 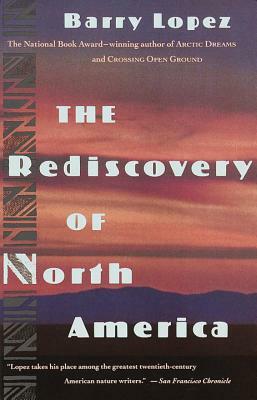 The Rediscovery of North America is a ringingly persuasive call for us, at long last, to make this country our home.